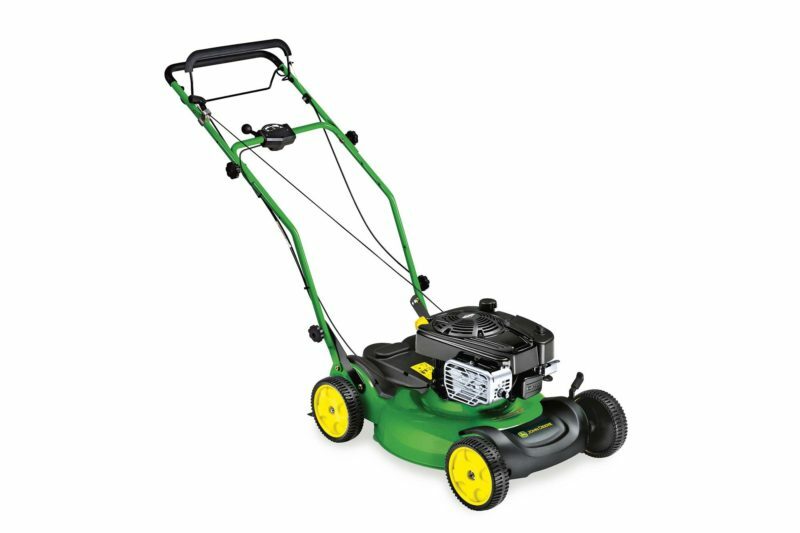 The John Deere JS63V is a dedicated variable-speed mulching mower which delivers a premium cut without the need to manually dispose of clippings. Get your Mowing Done Faster! Want the same high quality finish in just two-thirds of the time? John Deere mulching mowers are for you. With their specially designed blades and deep dome mower deck, they chop clippings small enough to be returned to the ground. There’s no need to empty the grass collector – and less need for artifial fertilisers that can burden the environment. The nitrogen-rich clippings are returned to the lawn as natural fertiliser. This prevents loss of nutrients and moisture – and lets you cut back dramatically on artificial fertilisers. Both models make it easy to adjust speeds to suit you and your terrain. With a choice of six to nine settings (depending on your model), it’s easy to adjust the cutting height to different seasons and surroundings with a single lever or button. The handlebar height adjusts easily for greater mowing comfort, allowing you to tailor the machine to the individual operator.